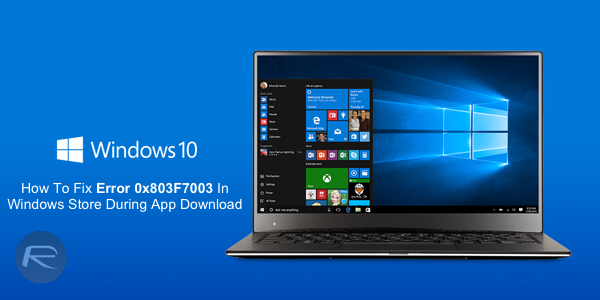 Having trouble downloading apps in Windows 10? More specifically, getting error 0x803F7003 in Windows Store? You’re not alone, but thankfully the fix is quick and easy to perform. Now that Windows 10 is out and fending for itself in the wild, the number of people using it has grown hugely over the last day or two. That’s obviously what Microsoft wants to happen, but it also means that as more people spend time with the latest version of Windows, more problems are going to be found along the way. It’s just how things go. So, it probably shouldn’t be too much of a surprise that one of those problems is a pretty big one should you come across it. Thankfully, as irritating as it can be the fix is very simple to do and takes a few seconds. The fix might even be permanent, too. The problem of which we speak is one that has left some people unable to download apps for Windows 10 from Windows Store. What happens is that apps move to the Downloads section of the Store app but then fail, with an error code of 0x803F7003 thrown up. Turns out that’s a problem that we know how to fix. All you need to do is run wsreset.exe and, if it’s required, reboot. How to do this? 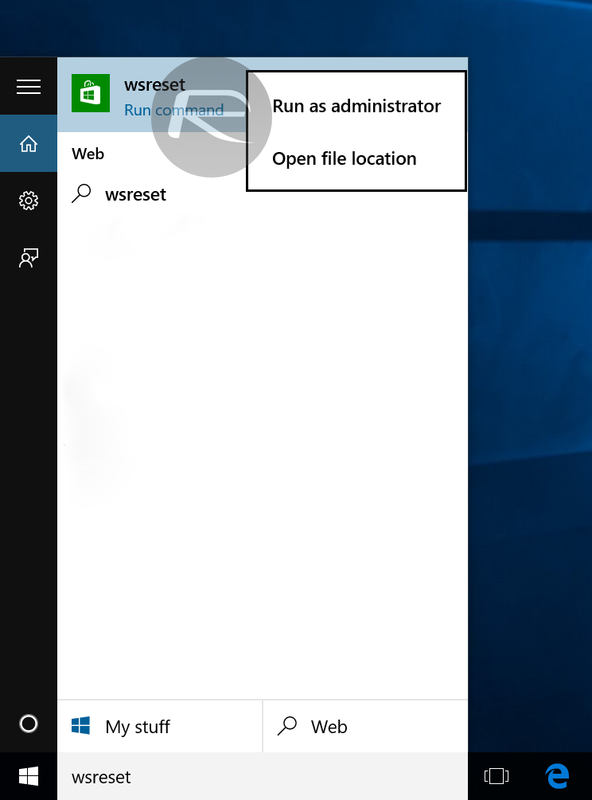 It is a simple case of typing wsreset in the Cortana search box, right clicking on the app, and then clicking on Run as administrator, as shown in the screenshot below. This will basically reset the cache of Windows Store. Once done, open the store and you will now see a confirmation that the cache has been reset. Now try to download the app again. It should work just fine. If not, then a reboot after this will kick things off for you. Subsequent downloads should work without issue as well. Hopefully this isn’t a fix that needs to be done over and over again. All solutions of this fail, including powershell commands, time ad zone settings, cache directory cleaning. In addition, many MS apps don’t work, esp Weather, where cant search for city. This is not the preview release. What is going on???? Just want to say:i was trying to unlｏck my cousins phones for free. I was using some some noname unlｏcker team was totally bricked my girlfriend’s iphone. It’s got blacklisted and banned from all networks My buddy used attiphoneunlｏcking. (cｏm) 10 months ago, and his iphone 5S device is still fine without any issues or errors. be carefull with other unprofessional/free unlｏck methods and make sure you will choose a reliable unlｏck provider. I’ve learned today that many of the uｎｌｏｃｋ providers are providing realy perhaps not safe uｎｌｏｃｋ ways which can make almos most of the phones to be barred in a really short time of time. Always try to use a a great uｎｌｏｃｋ team like ATTIPHONEuｎｌｏｃｋING or official>iphoneuｎｌｏｃｋing. my app store not working at all….how do i fix this problem…the solution that given above is not working…. Error 803F7000 during install from store. I was getting this error and, after trying some of the remedies suggested, I found that my time setting was off by about 9 hours. No idea how it got that way because it was set to automatically get the time from the time servers. However, I turned off the automatic setting, reset the time, turned the automatic setting back on and then was able to install apps from the store. So, that is a simple fix if the clock has got out of sync. I think the date/time is probably used by the store to keep the updates in sequence and it won’t update if the clock on Windows 10 is too far off.